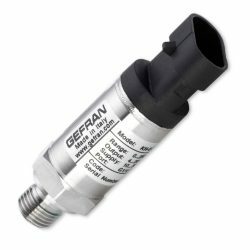 The Gefran KH mobile hydraulics pressure sensor is a low cost compact stainless steel high pressure sensor for use in large quantity OEM applications on mobile vehicles. The KH is available in ranges from 4 bar / 60 psi up to 1000 bar / 15000 psi. The KH pressure sensor is intended to be used in mobile hydraulics applications, such as on earth moving machines, fork-lift trucks, diggers, excavators, aerial work platforms, cranes, agricultural farm machinery and utility vehicles. The KH mobile hydraulics pressure sensor design has been focused on reliability and is SIL2 certified under European Functional Safety Standards. Pressure measurement in mobile vehicle hydraulic circuits is very often a fundamental parameter for ensuring the safety of both vehicles and operators. The mobile hydraulics sector also demands high mechanical and electrical performance, and the KH Series incorporates required features such as a ratiometric output and automotive electrical connectors. The ratiometric output provides an amplified output signal (0.5 to 4.5 V) with a supply voltage of only 5 V, and this is an enormous advantage for systems on mobile vehicles. For electrical connection, the KH Series uses automotive electrical connectors, the Deutsch DT04-4P 4-pin, AMP Superseal 3-pin, and Packard Metripack 3-pin, for compatibility with industry standards. The traditional M12x1 and EN 175301-803A (electrovalve), as well as a shielded cable, are also available. With compact size, high EMC protection level, process temperature from -40° to +125°C, and ±0.25%FS precision, the KH Series is built to withstand the environmental conditions of mobile hydraulic applications. The KH mobile hydraulic pressure sensor utilises a thick film sensing element deposited on stainless steel diaphragm. Due to the latest state of the art SMD electronics and compact all stainless steel construction, the KH is extremely robust and reliable, with SIL2 certification supplied as standard. The KH pressure sensor is suitable for all industrial applications, especially on hydraulics (presses, pumps, powerpack and fluid power) with severe conditions usually with high level of shock, vibration, pressure and temperature peaks, as typically experienced in the mobile machines environment. Bulldozers, tracked excavators, wheel loaders, drilling rigs, road rollers, dumpers, graders, and scrapers are subject to changeable weather and heavy working conditions for many hours in a row. The KH pressure sensor control hydraulic circuit pressure and the weight of material loaded on the shovel or dumper. 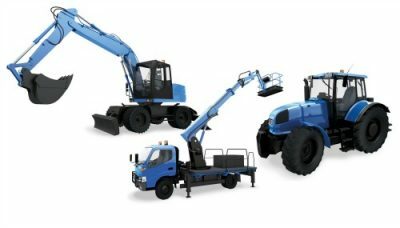 Aerial platforms, forklift trucks, scissor lifts, hydraulic hooklift hoists for containers, stationary or mobile cranes are machines that hoist goods and people and are subject to changeable weather and heavy working conditions for many hours in a row. The KH pressure sensor controls hydraulic circuit pressure and the weight of material loaded by the forklift or container hoist. 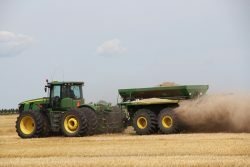 Tractors, combine harvesters, sprayers, spreaders, balers, and other farm equipment are all subject to changeable weather and heavy working conditions. The KH pressure sensor measures hydraulic oil pressure of the piston cylinder actuators that controls the deployment of sprayers, spreaders and unloaders. The KH pressure sensor measures hydraulic oil pressure of the piston cylinder actuators that control the opening and closing of the vehicles moving components. 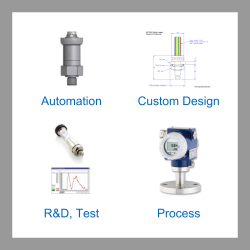 Please select the options you require for the KH Mobile Hydraulics Pressure Sensor in your application and request a quote. Send us your enquiry for KH Mobile Hydraulics Pressure Sensor to get assistance with this product type.